Sugar, spice, and everything….nice! These are the ingredients that create the perfect little meat sweets or otherwise known as “palagaaram” in Tamil. Indians are known to have sweet-tooths, which explains why Palagaaram is often served during Indian festivals including Deepavali, also known as the festivals of light. This Deepavali, go beyond and ditch that diet with us as we take a look at some of these mouth-watering Indian delicacies that will surely lure you to have a taste of India, the haven of all sweets and spices, right here in Singapore’s Little India Arcade. 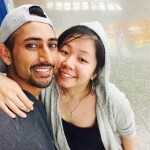 With so many delicacies to choose from, we eventually got recommendations from a helpful sweetshop owner and also picked 7 sweets & snacks that are most commonly enjoyed by Indians during Deepavali. 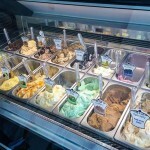 Imagine having a bite of a snowflake. The Burfi, which derives its name from the Persian word “snow”, melts in your mouth instantly. 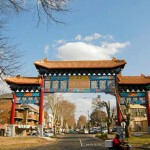 The wide varieties of Burfis available such as chocolate, kaaju (cashewnut) and many more made it difficult to choose. After much persuasion from the sweetshop owner, I eventually got the Pista Burfi. 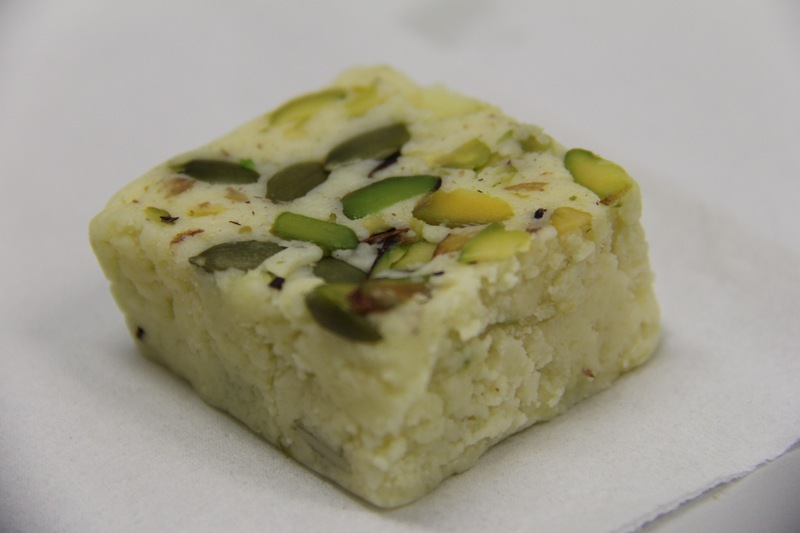 The pista burfi is an indian sweet made from pistachios, fresh grated coconut, sugar and cardamom powder. For me, Pista Burfi tasted like a milk candy with a fudgy, brownie-like texture. While it has a milky taste, the crunchy pistachios made the whole delicacy balanced in terms of the sweetness which I really enjoyed. 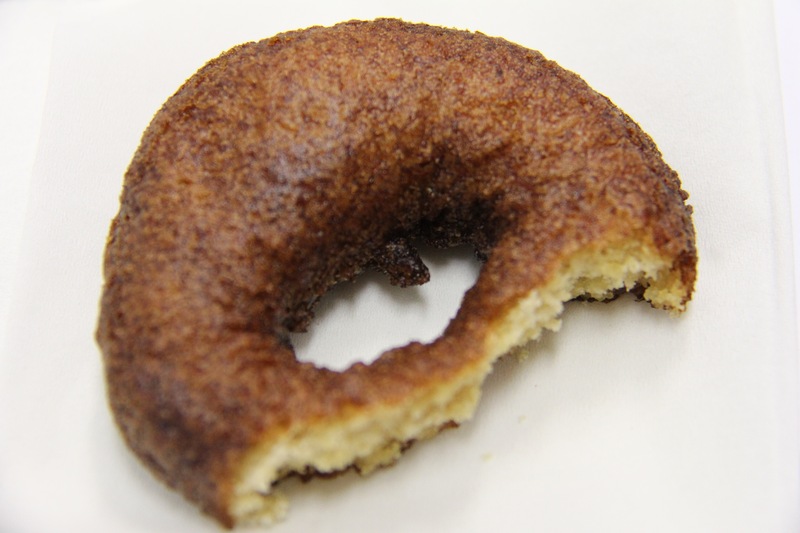 This is the sweet version of a Vadai, a savoury fried “donut” enjoyed as a snack. Athirasam originates from South India, made from just rice, jaggery (or sugar) and cardamom. Similar to the Vadai, Athirasam has a crispy outer layer and is soft on the inside. In terms of sweetness, the Athirasam was not as sweet as the Pista Burfi, thus for those who are not sweet tooths, the Athirasam would be a good option for you. Fun fact: Did you know that this sweet can actually be a medicine, depending on the type of laddoo and how it’s prepared? 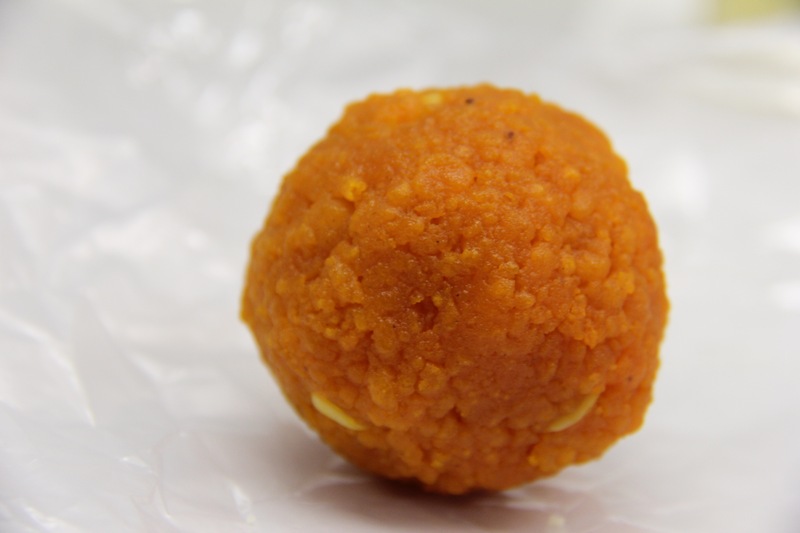 The laddoo typically is made from minced dough and sugar. However, some laddoos are made from ayuverdic (a type of indian medicinal practice) ingredients. We got the original ladoo, which is an orange ball slightly larger than the size of a ping-pong ball. The minced dough made the ladoo rather crumbly. It is sweet and definitely not too overwhelming, as there is also a subtle hint of ginger, which I feel, helps to neutralize the sweetness. Did you know that the Jalebi is not only popular in India, but in countries like Iran, ( زولبیا read: zulabiā), and Tunisia (Zlebia)? This sweet is made from all-purpose flour which is deep fried and soaked in sugar syrup. In India, the Jalebi is served during religious and festive occasions. Due to its sweet taste, the Jalebi is considered one of the favourites of many Indian children. 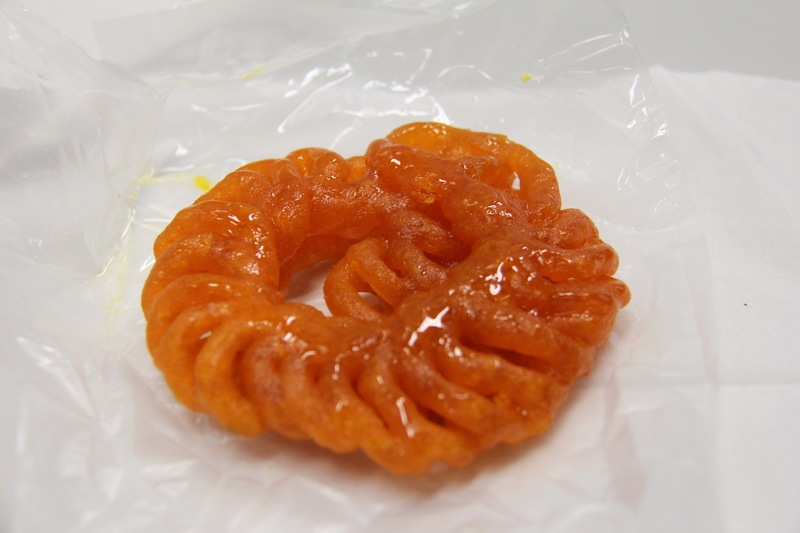 The first bite of a jalebi is similar to an ondeh ondeh in Singapore, but instead of gula melaka oozing, orange sugar syrup oozes out from a crispy Jalebi. 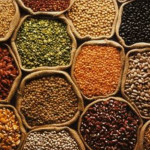 If Europe has pretzels, India has Murukku! 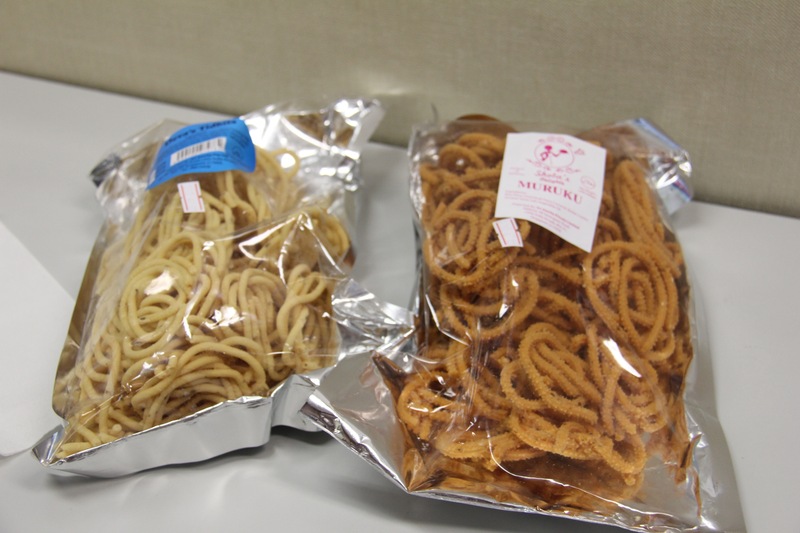 Similar to pretzels, the Murukku is a crunchy snack with many variations, providing alternatives like Spicy Murukku, Non-Spicy Murukku and Fine Murukku with peanuts. Originated in Tamil Nadu, Murukkus got its name for its quirky, squiggly appearance as the word “Murukku” refers to the word “twisted” in Tamil. Drooling for more? Have a taste of India and visit Singapore’s Little India Arcade at 48 Serangoon Rd, Singapore 217959. While you’re at it, be sure to stay tuned to our website as we feature India this Deepavali season.